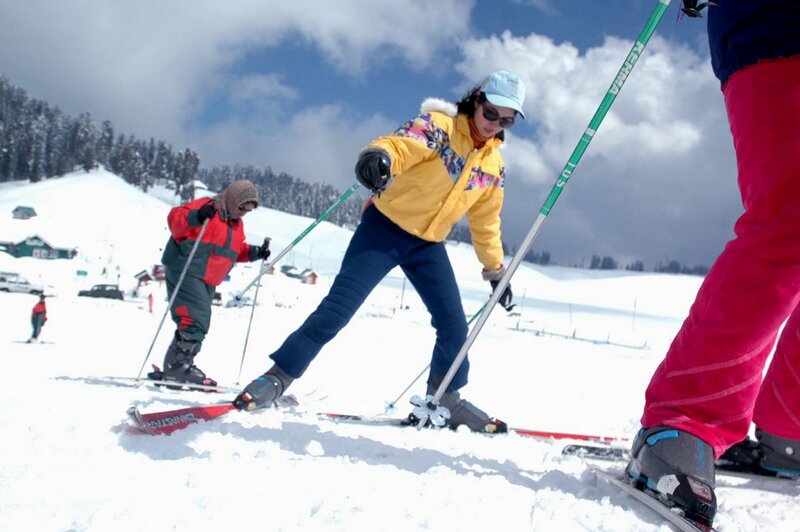 Gulmarg - skiing The closest airport is at Srinagar, 57 kms from Gulmarg. There are regular flights from this airport to all the major cities in the country. The nearest railway station is at Jammu. Visitors to Gulmarg need not worry too much about accommodation. There are many hotels and lodges for the tourists. There are hotels available for every kind of budget.